Are parts of your home’s exterior showing signs of age or damage? At A & B Roofing, they understand your family and the belongings you work hard for are only as safe as the roof above them and the walls around them. 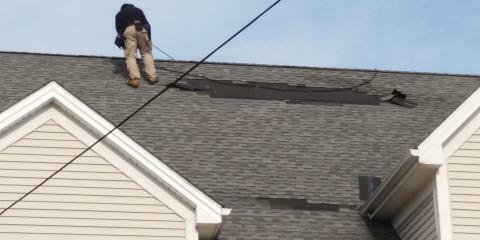 Located in Twinsburg, OH, they offer top-quality roofing and siding services to the surrounding Cleveland and Akron areas. As a fully licensed and bonded company in good standing with the Better Business Bureau, A & B Roofing has serviced both residential and commercial clients for their home improvement needs for more than 25 years. Whether you need roofing repairs, new siding, replacement windows, or door installation, the professional team will keep your home protected and looking beautiful. Don’t let small damage to your home turn into a monumental problem. Call the team at A & B Roofing at (330) 405-9055 today, and let them restore your house to both an aesthetically pleasing and safe environment. You can also reach out to them by visiting them online.